In Canada, strip searches from possession of a deadly … crayon. Also from the Great White North, government intrusion into homeschool, saying that Christian parents can’t teach a Biblical view of homosexuality. Freedom of religion is being chipped away slowly enough that most don’t see it. If Obama is some post-racial president, why is he launching "African Americans for Obama"? Medical "ethicists" are seriously arguing that post-birth newborns are "not persons" and can ethically be "aborted". With all the religious implications of Obama’s policies, you’d think he’d have kept around his faith-based council for advice. Nope, they’ve just faded away. Movie reviewers of the liberal persuasion are all for anti-war, anti-military or pro-environmental message movies, but that idea gets thrown out when they disapprove of the message. Suddenly, it’s "propaganda". Scofflaw Democrats. "The Medicare Modernization Act of 2003 further provides that if, for two years in a row, more than 45% of Medicare funding is coming from general revenues rather than Medicare taxes, the president must submit legislation to Congress to address the Medicare funding crisis. 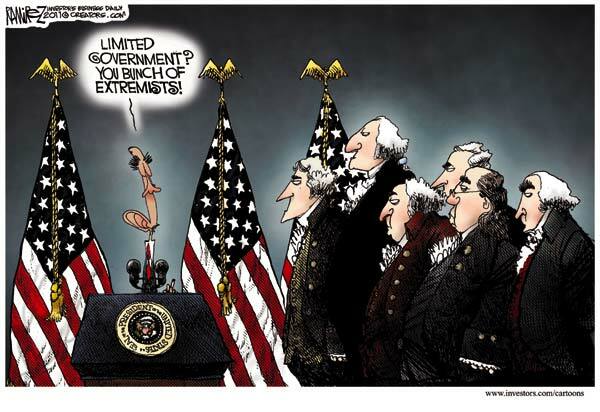 President Bush dutifully followed the law, but President Obama has ignored it for the last three years." Obama claims that we can’t drill our way out of the energy problem, and then, in the same speech, notes that domestic oil production is at it’s highest level in 8 years. Because we drilled! Can’t have it both ways, Mr. President, but the press will try to let you have it. …very few Americans are aware of the technical definition of oil “reserves” that is enforced by the Securities and Exchange Commission. Under American law (other countries record as “reserves” whatever is in the ground), oil isn’t counted as part of our “reserves” unless it can legally be developed under current regulations, and it would be economic to develop at current prices. 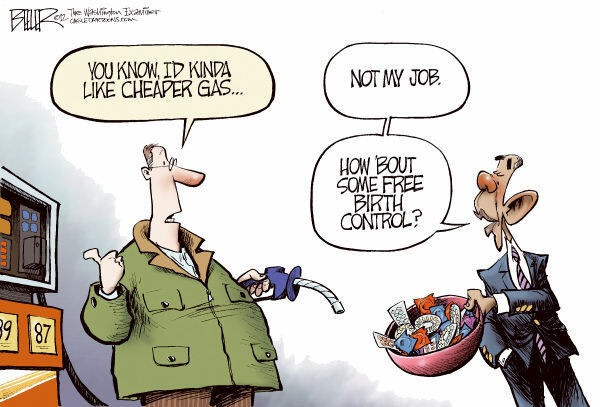 So when Obama says we only have two percent of the world’s oil “reserves,” he is documenting the extent to which the Democratic Party, by blocking energy development, is destroying jobs and making us all poorer. After protesting the SOPA/PIPA bills going through Congress (rightly, in my estimation) by going "dark" for 24 hours, Wikipedia is back, to the relief of students everywhere who may have never opened a real, physical encyclopedia in this post-book world. The protest brought the issue of anti-piracy vs. anti-freedom to the attention of many people. Now, I’d like those folks who were very concerned over those bills to look up a couple of things on Wikipedia that should also have garnered their attention recently, if they’re really concerned about what government is doing without their knowledge. If you’ve not heard about this in the news, that’s perfectly understandable. They’ve been nearly blacked-out themselves regarding these issues. Which is odd considering F&F is responsible for the deaths of Americans. Are you really concerned about what your government is doing, and you’re not just jumping on the SOPA bandwagon? Read up. Obama’s Job Council Says, "Drill, Baby, Drill"
“[W]e should allow more access to oil, natural gas and coal opportunities on federal lands,” states the year-end report released Tuesday by the President’s Council on Jobs and Competitiveness. The report does not specifically mention the Keystone XL oil pipeline, but it endorses moving forward quickly with projects that “deliver electricity and fuel,” including pipelines. I agree creating jobs for the sake of jobs is not always desirable (i.e. make-work, do-nothing jobs, or, as an extreme example, increasing the demand for contract killers), but this is energy we have at home that does not prop up terrorism or our enemies. The result is economic prosperity, and not just in the energy industry. Thanks to capitalism, millions of America’s poor are paying less to heat their homes this winter. The middle class and even the rich are saving money because capitalists have found a cheaper way to drill for natural gas on American soil. That increases supply, which drops the prices — by 35% this winter over last winter — but the capitalists still profit because drilling this way dropped their costs. Not only that, but the natural gas from this drilling has resulted in cheaper feedstock for plastics, ammonia and fertilizer. The natural gas feedstock supplants oil-based feedstock, thus reducing our dependency on foreign oil. And, if you continue reading, the EPA is trying to scare folks with junk science so they’ll be against drilling. I guess this will be just another panel, like his deficit commission, that he can sweep under the rug and ignore, but bring up if anyone says he’s done nothing about the problem.